Oh, how I love a cheese board. I’ll arrange a cheese or two with some fabulous crackers and a bit of fruit for an elegant snack or a light supper. When we have folks over, cheese boards are an absolute must. It’s so easy to serve a ton of people. More friends = more goodies + a bigger board! So, when the folks at Crunchmaster asked me to create a recipe using their crackers (which are certified gluten-free and allergen-friendly), I was all in. 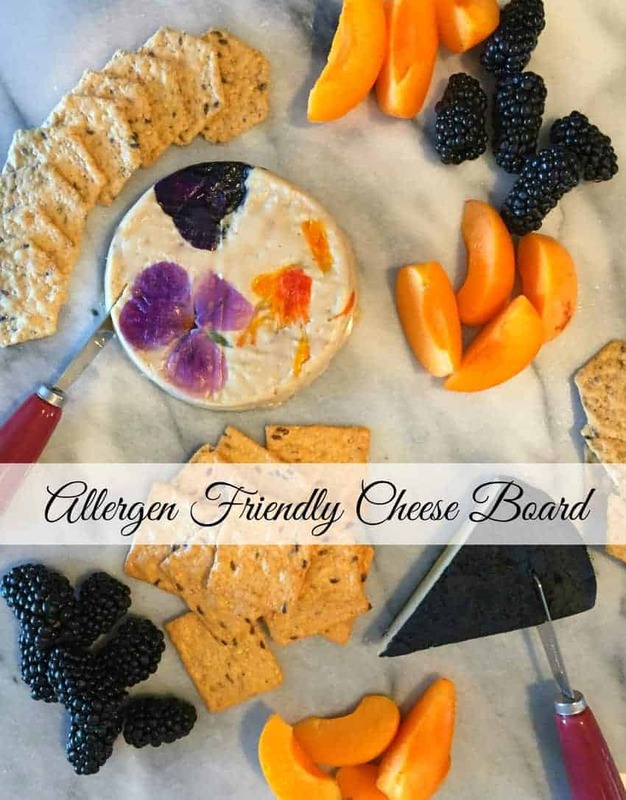 I decided to make an Allergen-Friendly Cheese Board that everyone could enjoy, including my dairy-free friends. I love the Sea Salt Multi-Grain flavor, so I obviously (selfishly) included those. I think the Rosemary Olive Oil Seed crackers pair well with cheese and wine, so I added those in the mix. Then, I used a couple of my favorite vegan cheeses from Miyoko’s Kitchen: Sweet Cream Strawberry and Mt. Vesuvius Black Ash. I finished up with some gorgeous local blackberries and apricots, poured some wine, and opened the door for my friends. Cheers! 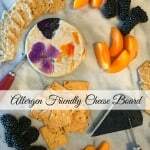 I'll show you how to create the best Allergen-Friendly Cheese Board. It's an elegant appetizer that everyone can enjoy! Arrange the crackers, cheeses and fruit artfully on a board. I like to use a marble or slate slab. Both are easy to clean and the cheese stays cool. Serve. Scale quantities accordingly to accommodate the number of guests you have. The good folks at Crunchmaster supplied compensation and crackers for this post. This entry was posted in Appetizers & Snacks, Dairy Free, Quick & Easy, Recipes and tagged allergen-friendly appetizers, allergen-friendly cheese board, cheese board, Crunchmaster, dairy free cheese board, easy appetizers, G-Free Foodie, gluten free, gluten free cheese board, gluten free dairy free, kc cornwell. Bookmark the permalink.